"We have known for a long time that damp and mould will make asthma worse if you already have it but this is one of the first studies to show that mould may be actually causing asthma to develop," says the study's lead author Dr Caroline Shorter from the Department of Medicine at UOW. "The study also found the more mould, the more cases of asthma," she says. The major study, published today in the international journal Indoor Air, was funded by the Health Research Council of New Zealand and carried out by researchers from UOW's He Kainga Oranga, Housing and Health Research Programme. "We found that mould and leaks were more likely to be found in the bedrooms and homes of children who had just started wheezing compared to the children who had never wheezed," says Dr Shorter. "The amount of mould present in the bedroom made a difference: the more mould, the greater the risk that children would start wheezing." "This is particularly concerning because we know from surveys carried out by the Building Research Association of New Zealand and others, that around half of all New Zealanders have mould in their homes," says Dr Shorter, who is a research fellow for He Kainga Oranga, Housing and Health Research. "We also have very high rates of asthma in New Zealand with 1 in 6 adults and 1 in 4 children reported to suffer from the condition. Worldwide prevalence of indoor mould is estimated at 10 – 30 per cent of homes, depending on climate and asthma rates are 1 in 20. "We urgently need to improve the quality of our children's home environments". "We need to reduce moisture in our homes by using extractor fans, not drying clothes inside, and opening windows often to improve ventilation, even for just 10 minutes a day. Even with these measures mould can still grow, so we also need to frequently check for mould and remove it when we see it, particularly around windows, where condensation can increase mould growth," she says. 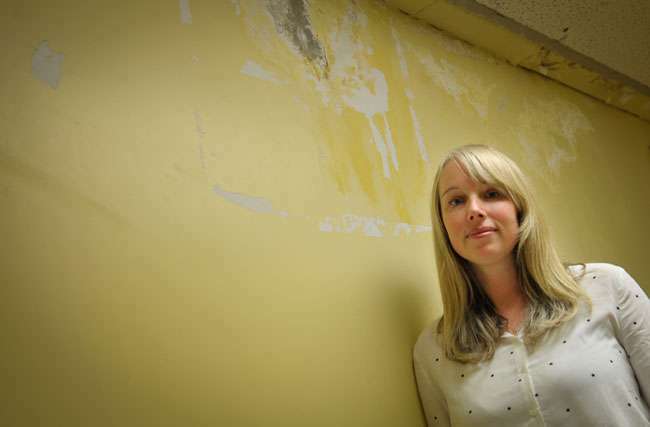 "The next stage of our research is to try and look in more detail at what types of mould might be important and what additional prevention we might use to keep mould at a minimum."